“Courier” means you (the purchaser) who wishes to engage with CRV Solutions Ltd to use the Courier Expert brand and supply Courier Services. “Licensor” means CRV Solutions Ltd trading as Courier Expert and any other trading names CRV Solutions Ltd may use in the future. “Agreement” means this Agreement, which shall apply to the contract of the Courier between the Licensor and the Courier. “You and “Your” may be used to refer to The Courier. “We” and “Us” may be used to refer to The Licensor. A. Compliance with Law: The Courier acknowledges that Courier Expert exercises no control over the goods carried by the Courier, the employees or sub-contractors of the Courier. The Courier ensure that they will comply with applicable laws of the UK and abroad that govern the carriage and transportation of goods, the Courier agrees that all relevant insurances relating to the collection and delivery are in place. The License allows the Courier to use the Courier Expert branding registered or otherwise. In no way does this agreement make any reference that the Courier will make a profit from operating a courier business C. The Courier ensures that proof of delivery (POD) notes are used & POD notes will be sent to Courier Expert within 48 Hours. If the Courier does not want to take a particular delivery then the licensor will arrange for someone else to do it. Any monies owed to the Courier, will be paid on the Friday after 30th day of the date of the invoice. The Parties hereby agree that the total consideration under this Agreement to be paid by the Courier to Courier Expert is fixed and is earned as of the date of execution of this Agreement. The courier fee to be paid weekly by direct debit (unless lifetime membership option has not been selected and paid for). The fees are based upon a realistic figure that would be needed to cover minimum administration per week. The weekly fees paid do not warrant Courier Expert to use money raised from fees to further it’s advertising or commit us to promote your area. In the case of weekly payments, failure of the Courier to pay any amount due with 14 days of the due date shall result in the termination of this Agreement and render the remaining consideration immediately due and payable. A re-instatement fee as described in section 12.D of this agreement is payable. Trade jobs are strictly between members and Courier Expert take no part in the transaction. Any disputes over payment, should be settled between the relevant members. Confidential Information Defined: Each Party acknowledges that it will have access to certain information of the other Party concerning the other Party’s business, plans, customers, technology, methodology and products, including the terms and conditions of this Agreement (“Confidential Information”). Confidential Information includes, but is not limited to: descriptions, business plans, software, internet designs, test data, other data, reports, recommendations, marketing plans, advertising materials, customer lists, business records, projections, products, services, product information, service information, financial information, other plans or proposals, proprietary information and any other information disseminated by one Party to the other to further the purpose of this Agreement and the performance thereof. ii. To only disclose the Confidential Information to those Party’s officers, employees and agents as are deemed necessary to carry out purpose of this Agreement & not to disclose confidential Information to third parties without the other party’s prior written approval. The parties hereby agree that these obligations shall remain in full force and effect during the term of this Agreement and for one (1) year following termination of this Agreement. Courier Expert represents and warrants that it has the full power and authority to enter into this Agreement. The goods and services furnished under this Agreement are provided “as is,” without any express or implied warranties including, without limitation, any implied warranties of merchantability or fitness for a particular purpose. Specifically does not predict nor guarantee the success and growth of business. The Courier represents and warrants that it has the full power and authority to enter into this Agreement. The Courier further represents and warrants that the Couriers services, products, materials, data and information used by the Courier and by it’s customers and users in connection with this Agreement do not, as of the date of this Agreement operate in any manner that would violate any applicable law or regulation. In no event shall Courier Expert be liable for any lost revenue, lost profits, loss of data, rights or services, loss of interruption of client’s business, special, incidental, punitive, indirect or consequential damages, suffered by the client, whether or not the Courier has been advised of the possibility of such loss, injury and/or damages. 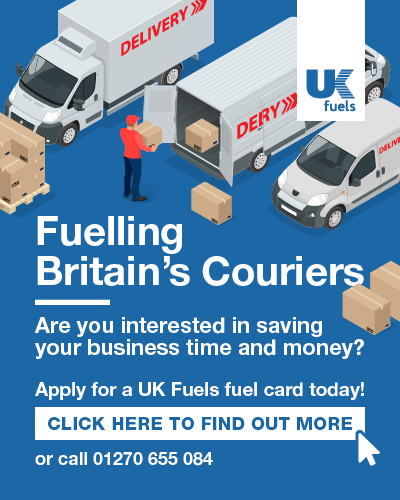 Courier Expert’s maximum aggregate liability to Courier related to or in connection with this agreement will be limited to £100.00 GBP hereunder. Courier Expert will provide Transit Cover for the goods you carry on behalf of our customers and on booked jobs only, up to a value of £500. In the event of any damage to these goods by you, as a Courier Expert Member are required to pay the first £100 of any claim we agree with our customer. Failure to pay this excess will result in the amount being offset against invoice payment to you as our supplier. In addition it is your responsibility as a self employed driver to ensure that you are driving within accordance of the terms and conditions of your licence. Courier Expert Transit Cover does not extend to Trade Jobs, we will not be responsible for any loss or delay, this is strictly agreed between members. Both parties must check and confirm insurance conditions before exchanging a job. The Courier shall indemnify Courier Expert against any claims, liabilities, and costs, including reasonable attorneys’ fees, and defend any third party claim or suit against Courier Expert arising out of the Couriers have the right to fully control the defence and any settlement of the claim or suit. Courier Expert shall indemnify the Courier against all claims, liabilities and costs, including reasonable attorneys’’ fees, and defend any third party claim or suit against the Courier arising out of Courier Expert’s acts. The Courier shall promptly notify Courier Expert in writing of such claim or suit and shall have the right to fully control the defence and any settlement of the claim or suit. Neither Party shall be liable for, any delay of performance, due to causes beyond its reasonable control. This includes but is not limited to: acts of god, delays associated with adjustments needed to comply with road traffic incidents, adverse weather conditions, and the arrival of new competitors. The time for completing the performance that has been delayed shall be extended by a period equal to the delay caused. This Agreement may be amended at any time but any amendments must be in writing and signed by both Parties. Sole Agreement: This entire Agreement between Courier Expert and the Courier. Either party may change its address appearing in this Agreement by giving written notice of the change to the other party. Independent Contractors: The Courier is an independent contractor and does not have the power or authority to enter into any agreement for, or on the behalf of Courier Expert. This Agreement does not create a partnership, joint venture, or employment relationship of any kind. Assignment. The Courier may not assign its rights or delegate its duties under this agreement either in whole or in part without prior written consent of Courier Expert, except that the Courier may assign this Agreement in whole as part of a corporate reorganisation, consolidation, merger, or sale of substantially all of its assets. Any attempted or delegation without such consent shall be void. 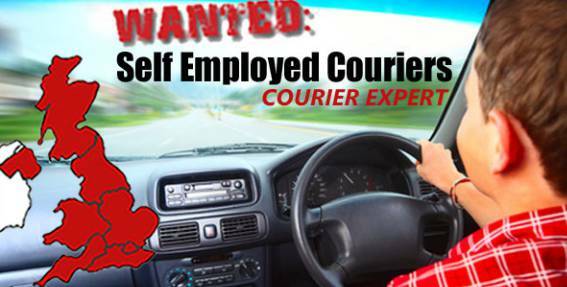 It is a requirement that the Courier is able to speak clear and fluent English. Any instances where this causes a loss of service to the customer, could lead to a termination of this agreement. This can only be done by contacting Courier Expert directly. Do not contact GoCardless to reactivate an account or retake a failed payment as we will have no record of this on our system. We reserve the right to cancel a membership at any time. Once a membership has been deactivated on 4 occasions due to failed payment the membership will be cancelled. To reinstate the membership, the full re-joining fee must be paid. Termination of cause. Either party will have the right to terminate this Agreement if the other party breaches any material term or condition of this Agreement and fails to cure such breach within 1 week after receipt of written notice of the same. Misconduct: Any act deemed to be of gross misconduct may and can lead into this Agreement being terminated. In the case of gross misconduct the termination will be executed by Courier Expert immediately and all monies owing will become due immediately and all associated materials, marketing and digital information will be returned to the control of Courier Expert. Any initial joining fee’s, approval fee’s, ongoing membership fees or payments for courier guidess are not refundable under any circumstances. If a membership is terminated for any reason, then to re-join at any point a joining fee would be payable If any weekly payment fails for any reason, then a reinstatement fee of £5 + vat is payable. If the courier wished to cancel at any point, then simply let us know in writing (email is acceptable) giving 1 weeks notice, we will then send you (by email) an online cancellation form, this same form is located at the foot of all job alert emails, once completed, the direct debit will be cancelled by Courier Expert. Weekly Members: For new couriers who have set up a direct debit prior to the end of any free membership period, and wish to cancel before weekly payments start, please note it is 100% your responsibility to follow the cancellation procedure as described in 12.E (above). Your membership is only considered cancelled if you have notified us, otherwise your membership is presumed to be ongoing. Lifetime membership is conditional that you apply for a courier expert urgent delivery or trade quote on the hub system at least once per three calendar months. Also, new insurance details (if applicable) must be provided within 7 days of expiry of current insurance, otherwise the member will be de-activated. 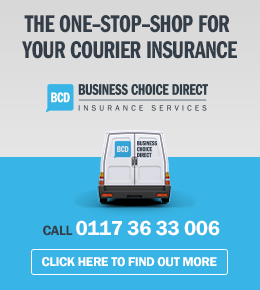 It is the courier’s responsibility to supply new insurance details to Courier Expert – it is not the responsibility of Courier Expert to ask for them. The re-instatement fee is the current re-joining fee applicable at the time, which would be payable. The reinstatement fee applies of 25% of the original joining fee. Our guides have been designed to provide you with the proven framework in setting up your own courier service. We provide all the information and know-how required to build a professional image and attract work. We do not however provide any guarantees. Success is down to the individual. We reserve the right to refuse to accept any order received from any person/s or organisation without explanation. All materials and information provided may be used solely by the purchaser in connection with their own courier business. The purchaser agrees to keep confidential and not disclose to any person/s or organisation not connected with their service. all information, working methods, marketing techniques, trade secrets and systems that are learned through the operating manual, documentation, software, support line, update services, and referral network supplied. All material and information supplied is protected by copyright. Any copying, reproduction, transmission or distribution of any of the material or information supplied without the express written permission of CRV is strictly prohibited. All rights are reserved worldwide. The Consumer Protection (Distance Selling) Regulations 2000 apply to many ecommerce websites, however, they are not applicable to ’business-to-business’ transactions. All our transactions are business-to-business, as we produce a business start up guide, intended for researching and starting your own business, as a self employed courier or running your own courier company. 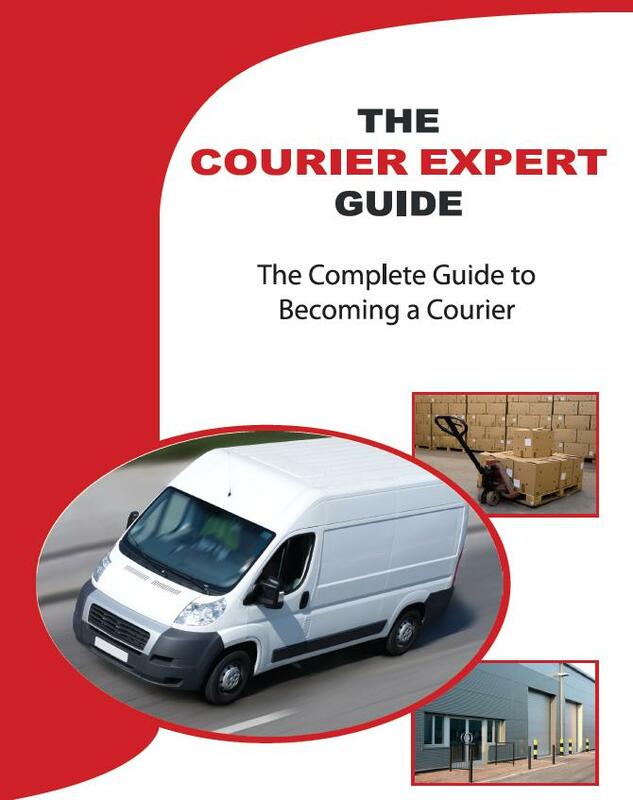 The our Courier Guides have been compiled, written and produced with the intention of providing a convenient and fast track entry route into the courier business, and are based on our own team’s experiences within the industry. The publisher is not a solicitor and the material is not intended as a detailed commentary on any law, and should therefore not be acted upon without taking specific legal advice. Whilst all reasonable care has been and will be taken to ensure the accuracy and adequacy of the material and information supplied, no responsibility will be accepted for any loss occasioned to any person as a direct or indirect result of any material or information provided. Refunds are only given in accordance with our terms, refunds are not given for any other reason. In regards to the joining fee, refunds are not given under any circumstances. To the extent possible under applicable law, these Terms of Business shall be governed by the laws of England and Wales and shall be subject to the non-exclusive jurisdiction of the English courts.